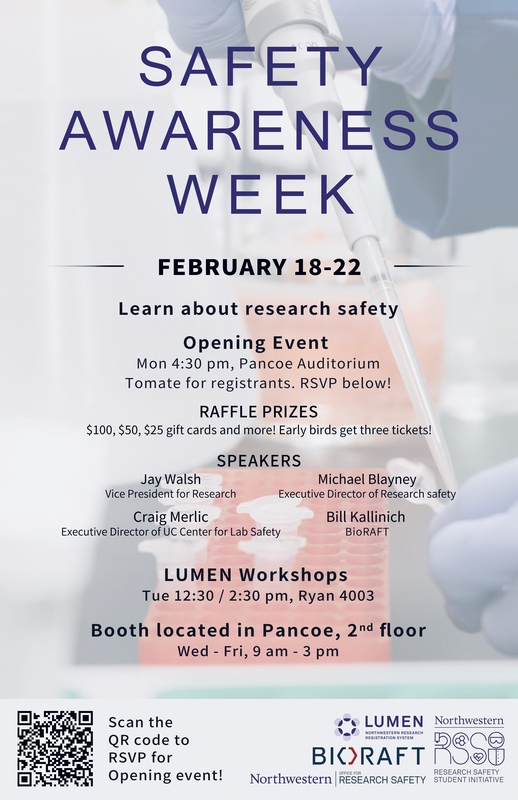 The Safety Awareness Week (SAW) is an annual event devoted to research safety with the aim of promoting a more positive mindset towards safe laboratory practices and encouraging laboratory workers to conduct their science in a safe manner. This one-week initiative includes an opening reception and various activities throughout the week. For more information and to RSVP, see the flyer below.